Most international students need to write essays and reports for exams and coursework. Yet writing good academic English is a demanding task. 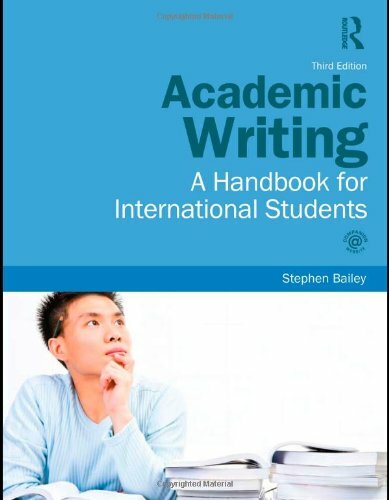 This new edition of Academic Writing has been fully revised to help students reach this goal. Clearly organised, the course explains the writing process from start to finish. Each stage is demonstrated and practised, from selecting suitable sources, reading, note-making and planning through to re-writing and proofreading. The book is divided into short sections which contain examples, explanations and exercises for use in the classroom or self-study. Cross-references allow easy access to relevant sections, and a full answer key is included. The 3rd edition has been developed in response to suggestions from both students and teachers. Featuring a new website, there is increased coverage of plagiarism, argument, cause and effect, comparison, definitions and academic style. Different forms of writing, including reports and literature reviews, are also covered. 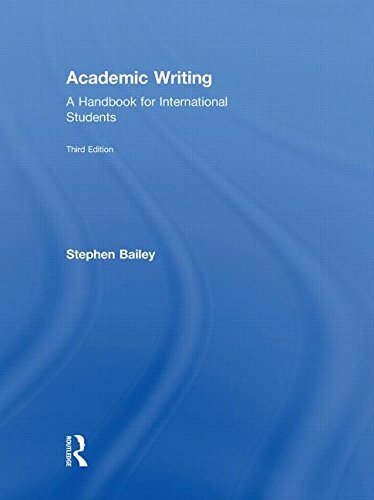 All international students wanting to maximise their academic potential will find this easy-to-use, practical book a valuable guide to writing in English for their degree courses. Stephen Bailey is a freelance teacher and writer of materials for English for Academic Purposes. He has taught international students for many years at the University of Nottingham, UK, and has previously worked in the Czech Republic, Japan, Malaysia and Spain.